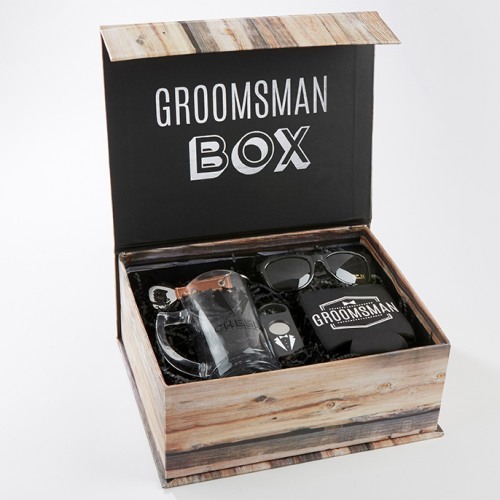 Convenient and trendy, this groomsmen kit will give your favorite guys a variety of beloved items. Each set includes a "Cheers" glass mug, a groomsmen can sleeve, a groomsmen bottle opener, groomsmen sunglasses, and a cigar cutter. Items come packaged in a wood-themed box with "For You" written across the lid.